In October 5th, 2002 was the first day I made the decision that changed my life forever. Buy then I realized that I could not be able to walk this journey by my self. I came to know Him. I became a follower. I became a believer. But what is a believer without faith? God. I need him. He is the faith giver. He is the hope giver. He is the only one who gives me the desire and power I need every moment to walk and to do what pleases Him (Philippians 2:13). And that power and desire is the Holy Spirit who lives in every believer of Him. Yes, God’s Holy Spirit lives in each of us, you and me. We also need accountabilities and encouragements from fellow brothers and sisters in Christ. My first accountability and encouragement God has out in my life is my husband. He uses my husband for His glory and purposes. Through his life, God blesses me and our daughters with love, grace, and encouragement that we need to grow as family. And God also put brothers and sisters in Christ in our lives. You have them also in your lives. For me, God has given me a lot since the day I was adopted into His Kingly Family. All of You are my brothers and sisters in Christ. God use His church to encourage each other in your own church community. But also, there are small groups He provides for us. For me, I found this HelloMornings group in 2013. This group has been a great blessing in my spiritual life. There are wonderful sisters I have met since then. They encourage me in ways I even cannot image. They are my accountabilities to walk with God every day. Together we grow in knowledge of who God is. If you are looking for accountabilities and encouragements to walk with Him like I do, you still have time to join any HelloMornings groups that fits to your needs. Go HERE to join us. The next study will start on Monday, 01/12/2015. And I wanna do something different this challenge. Studying & journaling every word He speaks to me. 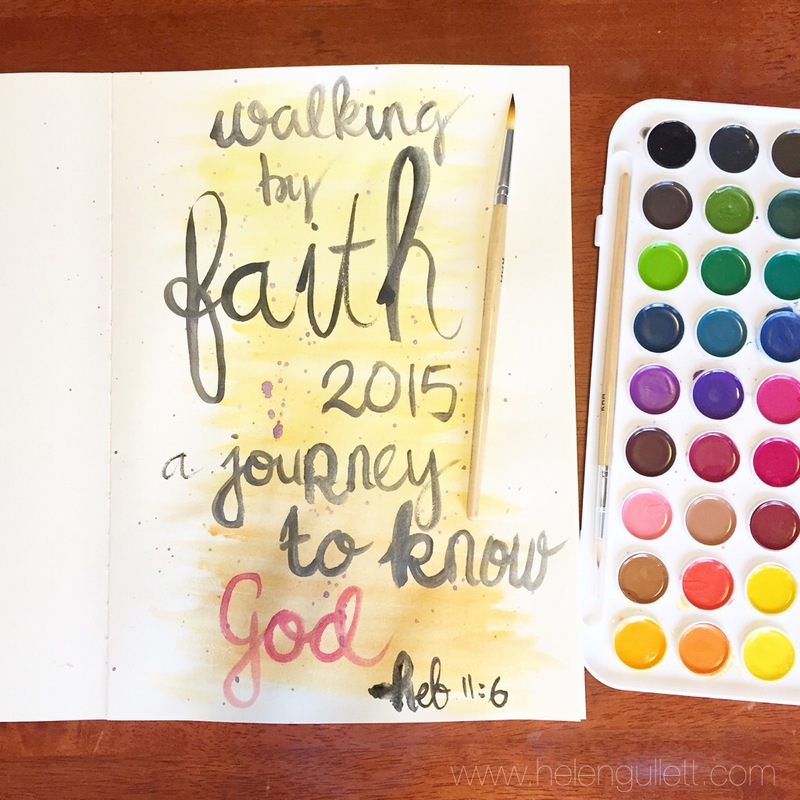 Faith is my One Word to live not only in 365 days in 2015, but also for beyond. What is yours?